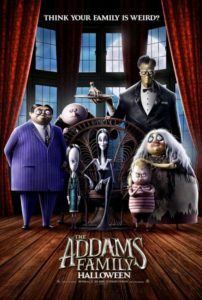 MGM has just released the first trailer for the upcoming animated adaptation of The Addams Family. The short clip gives some glimpses into the family’s unconventional daily life and their uniquely morbid sense of humor. There are some intriguing visuals of the iconic haunted mansion, some torture paraphernalia, and most of the the family members. The teaser also includes a reference to Stephen King’s IT which I find amusing considering Finn Wolfhard also starred in that film. While the animation style is interesting enough and the voice cast is definitely impressive, we still don’t know if this latest version of the kooky family will have the same charm and appeal as the live-action films made during the 90s. But these characters have been around since they first appeared as cartoons in the New Yorker in 1938 and they have always been examples of being true to one’s self, no matter how strange. Not a bad example to set for the new generation. The Addams Family is due to be released on October 11, 2019.